One evening back in 1978, I was with Michael Jaclson at the old Chasen's Restaurant at the corner of Dohney and Beverly Blvd. It was some sort of a Gold Record party and the place was mobbed. Michael had enough of the crowd and we headed out to the sidewalk where one or two fans were hanging around. Michael stood next to the wall, took a deep breath, relaxed and I shot some photos. Chasen's has long been torn down and Michael lives on. Today Chasen's is Bristol Farms supermarket. You can go there. You can stand on the sidewalk at the exact location where young Michael once stood so tall and handsome. 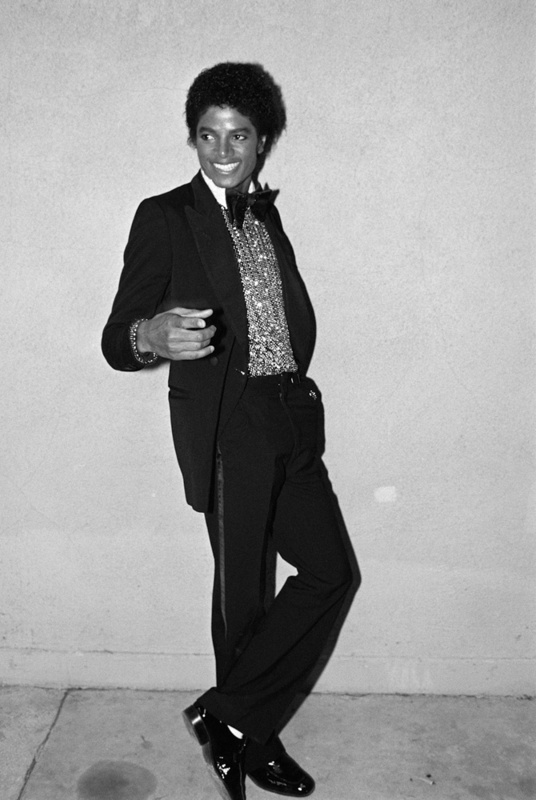 Better yet, you can own this photograoh and reflect about Michael in his stunning silver sequin shirt.